I know you can find recipes all over the Internet these days and trust me, I’ve Pinned my fair share (someone help). But to me, you just can’t beat the joy of flipping through a good old-fashioned cookbook. That’s why I was so excited when my best friend gifted me Smitten Kitchen’s new cookbook for Christmas. 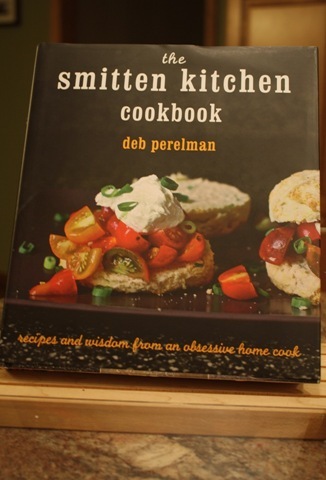 Smitten Kitchen is such a gorgeous blog and now Deb’s best creations have been enclosed in their very own book. All of the wonderful recipes and foodie photography with none of the I’ve-been-on-my-laptop-way-too-long eye burn. Speaking of best friends, the aforementioned just gave birth to her second child this weekend! In honor, I just had to make a recipe from her gift this evening. The first time I flipped through Deb’s cookbook, this recipe immediately caught my eye. I’ve never heard of such a thing before! 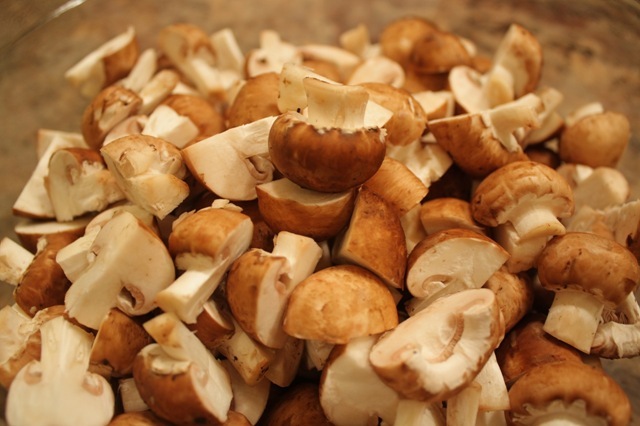 I love mushrooms with all my stomach heart. I’m no vegetarian but recipes like this make it easy to pretend for a day. 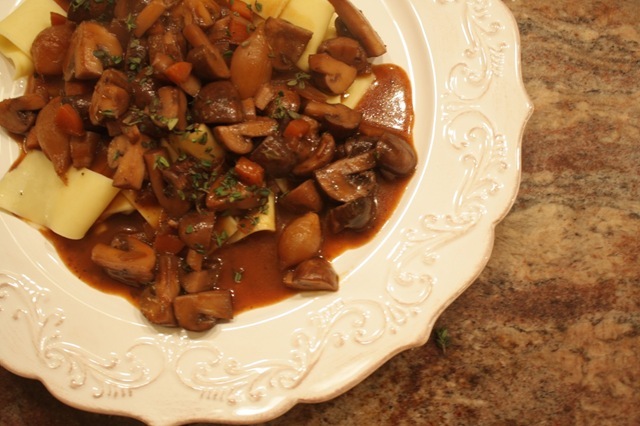 This bourguignon is rich, flavorful and even meaty – in a mushroom kind of way. It’s perfect comfort food on a day when the temperature has plummeted from a high of 65 degrees on Sunday to 28 today (really Cleveland?). Served on a bed of soft, chewy egg noodles. Dinner was scrumptious.